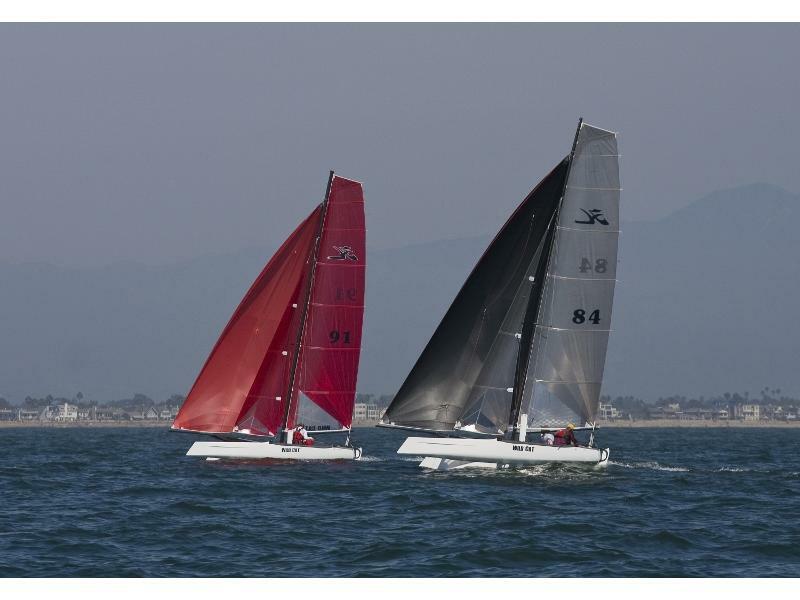 The Fiberglass/Foam Sandwich-constructed Hobie® Wild Cat was built by a team of some of the best naval architects, Olympic sailors, and sailmakers in the world with input from the worlds best F18 racers and backed up by Hobies own technical and sales/marketing staff. Built for a two-person race crew and raced with a spinnaker for maximum performance, the wave-piercing hull design is designed to conform to Formula 18 racing rules. 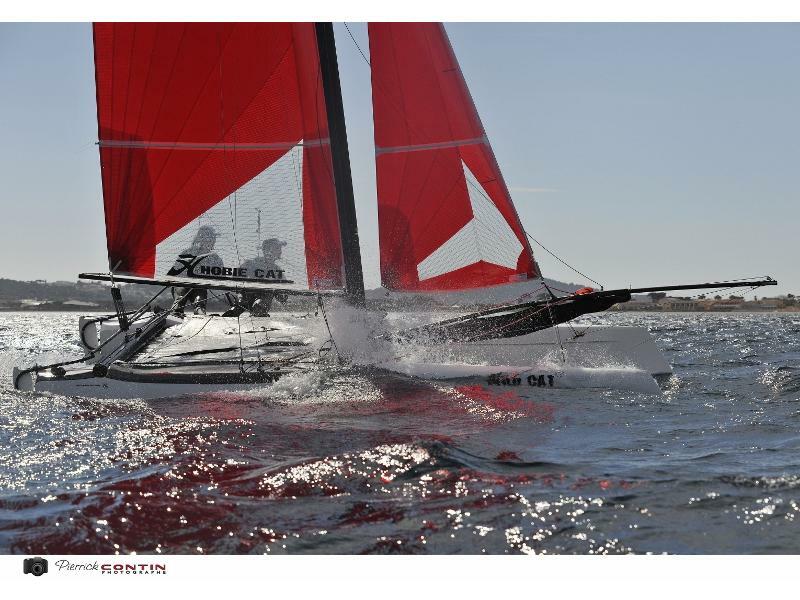 The ISAF F18 Class is the fastest growing catamaran racing fleet in the world. 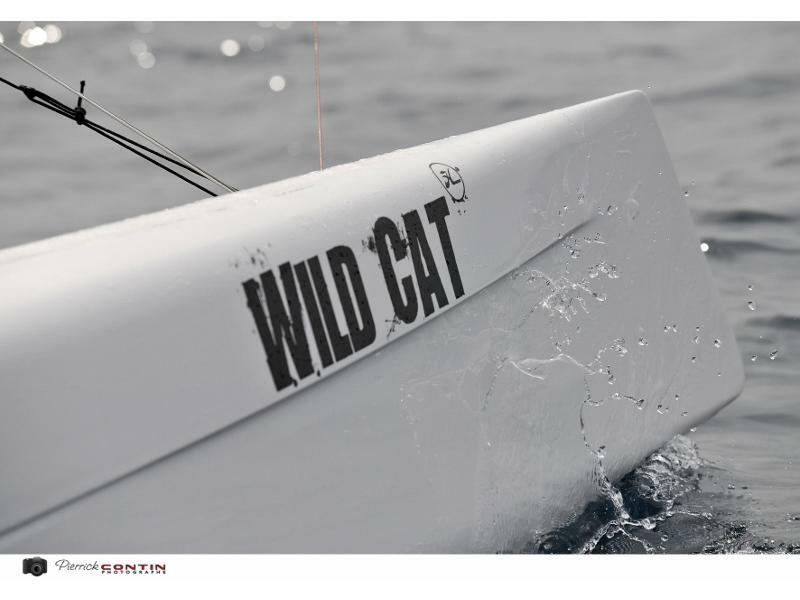 Features abound in the Wild Cat. 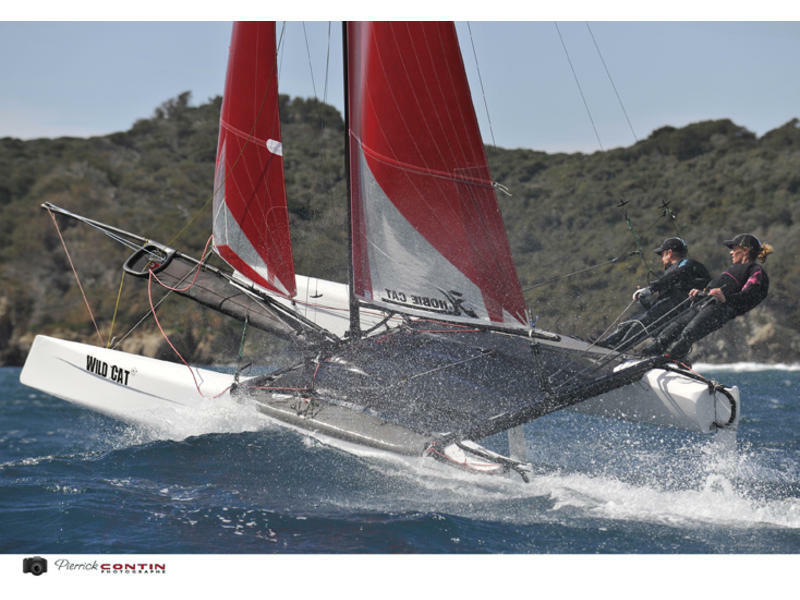 A modern wing mast section effectively becomes part of the sail, providing better lift and less drag while racing. The high aspect rudder and centerboards are hyrdodynamically more efficient than a conventional low aspect design that creates unnecessary drag. They also provide more lift for better windward performance.